London: The World Sikh Parliament (WSP) has issued a press release saying that the Sikh activists body took serious note of the decision of an Indian court last week to convict and sentence to life imprisonment three Sikh activists for ‘waging war against the state’. “The court’s judgement seeks to justify that outcome based on the mere possession of literature and the sharing of social media messages relating to the ongoing Sikh struggle for freedom and justice in Indian-occupied Punjab. 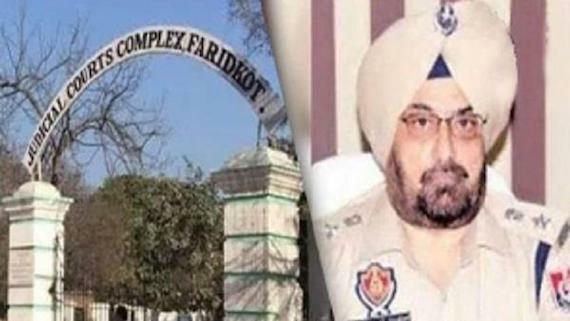 It reached that perverted conclusion even though there was no suggestion, much less any evidence, of the involvement of any arms or the commission or preparation of any violence or armed action”, WSP said in written statement (copy available with Sikh Siyasat News). 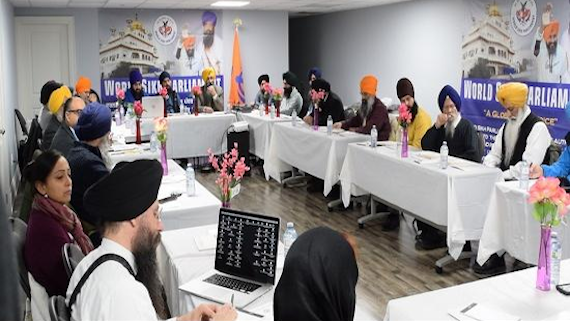 It further says: “[t]his brazen attempt to silence political dissent has sparked a sharp reaction from those who believe in any notion of freedom of expression and has opened up yet another front in the prolonged conflict between the Sikhs and the Indian state. 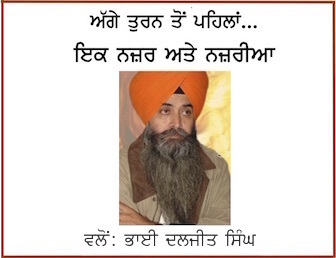 The conflict, which has raged since the late 1970s and which has not been resolved, has become defined by India’s violent suppression of a self-determination movement which is founded both on the Sikh nation’s rights under international law and on the decisions of the Sarbat Khalsa, the national decision-making body of the Sikhs”. 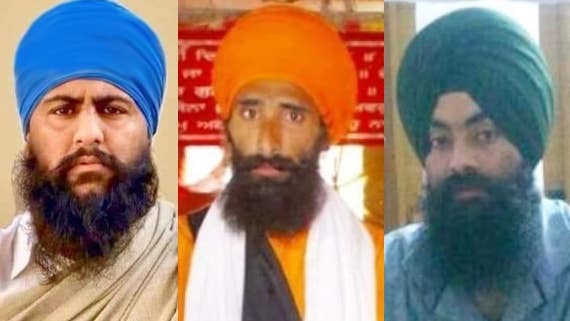 The Sikh body further noted Arwinder Singh, Surjit Singh and Ranjit Singh were detained in 2016 but it was only in 2018 that the charges of waging war on the state were introduced by a judge in a sadly familiar case of ‘judicial activism’ where the persecution of minorities is concerned. “The bizarre findings of the court last week fit very neatly in to the BJP government’s hard-line Hindutva narrative heading in to the country’s general elections set for April 2019. Yet again, the Sikhs are seen as a convenient target for right wing extremism, shamelessly leveraged for electoral gain”, WSP maintained in its press release, which further says: “[o]bservers will recall how the genocide of Sikhs in 1984 was carefully orchestrated by the then government to deliver similar returns”. The three Sikhs in this case, who have no prior convictions, have joined the ranks of our many other political prisoners in Indian jails. We pledge to take up India’s latest challenge to human rights by supporting our brethren in any way we can and are already in touch with their legal team, said Manpreet Singh of WSP. “We are equally determined to expose, on the international stage, the hypocrisy of a state that can somehow try to explain away its decades-long failure to punish the perpetrators of that genocide whilst, at the same time, defying legal precedent and common sense in putting peaceful political activists behind bars and throwing away the key. Decades of political, judicial and military excesses against the Sikhs and other minorities will be unmasked in the process. In doing so we call on human rights bodies, foreign governments and the UN to intervene in this travesty of justice. Indian policy makers have taken a step that international disapprobation will surely make them regret”, he added. “India’s unrelenting attempts to equate the peaceful Sikh struggle for self-determination with terrorism, and now even ‘war’, have clouded the international perception of the Indo-Sikh conflict for far too long. This case, by the sheer extent of its absurdity, will help to defeat such baseless propaganda. The global community must make India learn to live by the rules of international law, whether they relate to self-determination, genocide or freedom of expression”, said WSP.